Ofcom has awarded a local TV licence in Southampton today to That’s Solent TV, an application backed by Newsquest and Johnston Press. That’s Solent is the ninth to be accepted by the media regulator since the application process closed in August. The company, which beat rival applicant Solent TV to the licence, will work in conjunction with local newspapers in Southampton, Portsmouth and the Isle of Wight, exchanging news leads for video content. The papers include the Southern Daily Echo and Portsmouth’s The News. 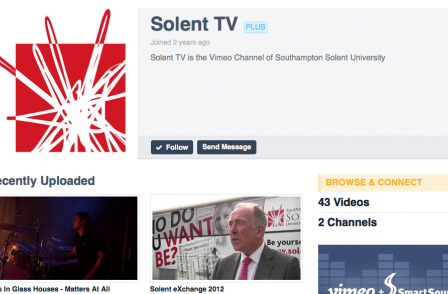 In its application, That’s Solent TV said it will broadcast three hours of news on weekdays and one hour a day at the weekend. The station will transmit 108 hours of content per week, including news, sport, arts and business content. It will initially employ three news editors, three reporters and seven junior reporters. In total, Ofcom received 57 applications to run local television services in 21 local areas across the UK.